Then I measured my wrist for the desired bracelet size. I used 14 gauge brass wire. Creating an eyelet at the beginning, I made multiple bends 2 inches in length, until I reached my desired size. 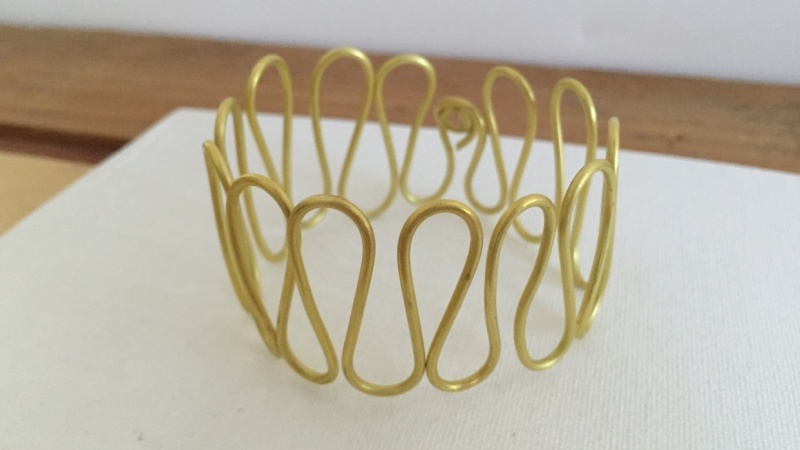 I shaped the wire in a circle, cut the wire and finished my bracelet with an new eyelet that connects with the first one I made. Viola! A finished Statement Bracelet!